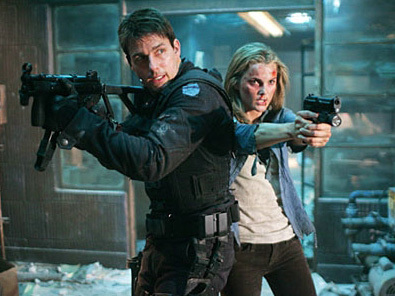 These are movies that "flopped" at the box office (i.e. made less money than was spent to make them). Some were spectacular flops, and some only barely missed making it out of the red. However, I really liked them all. Usually, financial flops that people like are labelled "underrated" or "cult classics." You'll find some of those here. You'll also find some "overrated" films or films critics thought were just "bad," and not deserving of the little money they did make. I'll be interested to know your reactions and thoughts. Without further ado, they are here listed, the top 10 sneaky-good flops of the '00s. Christophe Gans directed this piece of eye candy (released as The Brotherhood of the Wolf in the U.S.) and did not skimp. Every dollar of the $29 million budget is on the screen. The film is beautiful, the colors pop, and the action is pretty freakin' great. In a wise move, Mark Dacascos (Iron Chef America's "Chairman") was given no lines. Le Pacte des Loups grossed a meager $11 million, less than half of what was spent to make it. One of the more profound flops of all time, The Island suffered from severe Michael Bay backlash. Bay probably could have directed Citizen Kane as a follow-up to Pearl Harbor (which, incidentally, netted $60 million), and it would have flopped at the box office. The Island cost a whopping $126 million to make and grossed an embarrassing $35 million. Bay blamed his insistence on Ewan McGregor and Scarlett Johansson (who was only just becoming the bombshell she is now...) and the curious lack of marketing for the flop. He might as well have blamed Ben Affleck and Josh Hartnett. The Island's first forty minutes is a pretty smart and sleek biotech thriller, followed by the standard Michael Bay chase extravaganza. Good popcorn fun. Grossing only $12 million from a budget of $22 million, I Heart Huckabees is an odd duck. Directed by David O. Russell on the heels of his Three Kings success, Huckabees boasts an all-star cast: Mark Wahlberg, Jason Schwartzman, Dustin Hoffman, Jude Law, Lily Tomlin, and Naomi Watts. The problem with Huckabees is one of classification: Just what the heck IS this movie? "A local poet and activist hires existential detectives to investigate the meaning of three coincidences that could hold the key to life." Uh, what? And that's from the DVD box! By far the most original comedy of that year, and maybe the decade, and a great movie that no one got...except us! Shane Black is the writer behind such popcorn schlock as the Lethal Weapon series, The Last Boy Scout, The Last Action Hero, and The Long Kiss Goodnight (the script for which Black was famously paid $4 million). This could be another case of over-saturation, but I don't know that people knew or know who Shane Black was or is. Who pays attention to screenwriters except us Mockingbird at the Movies nerds? 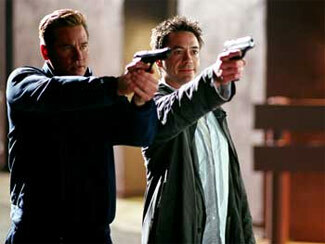 In his directorial debut, Black's Kiss Kiss Bang Bang is a great little mystery thriller starring the always wonderful Robert Downey, Jr. and a hilarious Val Kilmer. It's smart, well-written, and an unexplainable flop. It cost the very resonable $15 million to make but still only grossed the does-that-even-count? sum of $4 million (which, if you'll recall, was the sum Black was paid for the relatively awful Long Kiss screenplay). This is one of my favorite movies to show friends. They invariably say, "I've never even heard of that!" An adaptation of Chuck Barris' "unauthorized autobiography" (get it? ), George Clooney's directorial debut is really very good. Sam Rockwell is just awesome as Barris, the creator of The Dating Game, The Newlywed Game, and The Gong Show, and who just might have been a CIA assassin. Clooney proves that he knows what to do behind the camera as well as in front of it, starring alongside Rockwell and Drew Barrymore. Another probable victim of overwhelming quirkiness, Confessions foundered because no one could figure out how to market a film about a man no one had ever heard of and who had possibly killed dozens of people. This is a must-watch, if only for Rockwell's stunning performance and for the killer of an opening line: “When you’re young, your potential is infinite. You might do anything, really. You might be Einstein, you might be DiMaggio. Then you get to an age where what you might be gives way to what you have been. You weren’t Einstein, you weren’t anything. That’s a bad moment.” Clooney got the studio to give him $29 million to make Confessions, but the silly public only shelled out $16 million to see it. Philip Seymour Hoffman. It's the best of the three, without question, and anyone who tells you differently is watching the first Mission: Impossible with "Before Tom Cruise got weird" wistful glasses. No less an august source than the A.V. Club called MI:3 "a very fine film." Done and done. Again, not much of a flop, but as we get higher on this list, movies get better, and therefore tend to make more money. Stephen Frears' dark-as-hell thriller about the seedy London underworld is really not to be missed. But, as you can tell from the $8 million gross, many people did indeed miss it. Costing only $10 million to make, Dirty Pretty Things made Chiwetel Ejiofor (Inside Man, American Gangster) a star, at least to the extent that he is a star. His performance completely overshadows Audrey Tautou (of Amelie fame). It's the kind of performance that will keep coming back to you, and the kind of movie you'll never forget. Also watch out for Sergi Lopez in one of the creepiest roles of all time. Do not miss this film, but think twice before deciding to watch it by yourself. Paul Thomas Anderson is in a class by himself as a filmmaker. The only reason he wasn't my Desert Island Director a few weeks ago is that he's only made five feature films. It's just not enough for me to survive for the rest of my life. But the reason he's only made five is that each one is a total labor of love and an absolute masterpiece. Hard Eight, Boogie Nights, Magnolia, Punch-Drunk Love, and There Will Be Blood. Wow. Made for $25 million, the reason Punch-Drunk Love flopped is simple: "Adam Sandler in a serious movie? NO WAY!" But he did it. Unequivocally. His performance is thoughtful, esoteric, and in turn subtle and grandiose. In layman's terms: really, really, good. Love only grossed $18 million, likely due to Little Nicky blowback. Sandler typecast himself with Happy Gilmore and Billy Madison, and then abused our goodwill with Nicky. The clue? Punch-Drunk Love came out just a year after Little Nicky. America was not ready to forgive. Now that the decade is over, let's proclaim it an Adam Sandler Jubilee Year: Watch Punch-Drunk Love, and enjoy. The aforementioned A.V. Club named 25th Hour the second best movie of the decade...period. And it is that good. But this, of course, is a personal list, so it only gets as high as #2 here. To call 25th Hour a flop is almost mean: it's just small. It grossed $13 million from a budget of $15 million. Directed by Spike Lee (jointed by Spike Lee?) and starring Edward Norton, Philip Seymour Hoffman, and Barry Pepper, the movie follows a man taking care of loose ends on the day before he has to begin serving a prison sentence. Norton is the soon-to-be-jailbird and Hoffman and Pepper are his friends, trying vainly to help him "deal" with his situation. Brian Cox and Rosario Dawson play wonderful smaller parts, as well. It's the best thing Lee has ever done, and the relationship he develops (in one day, showing no friend-related flashbacks) between the three men is an astounding achievement, with the help of screenwriter David Benioff (adapting his own novel). A depressed post-9/11 New York movie, 25th Hour is, like Dirty Pretty Things, a movie you will not soon forget. It deals in friendship, betrayal, and love, and the lengths we go to for each. The best of the flops of the '00s, Wonder Boys is an adaptation of a Michael Chabon (winner of the Pulitzer Prize for The Amazing Adventures of Kavalier and Clay) novel. Curtis Hanson (L.A. Confidential, 8 Mile) directs and Michael Douglas, Frances McDormand, Tobey Maguire, and Robert Downey, Jr. star in a story about academics, writing, repression, and failure. The thing to watch for here is the powerful melancholy of the characters and the honesty that each of the actors bring them. Grossing only $19 million from budget of $35 million, Wonder Boys was and remains terribly under-appreciated. Chabon's specialty is writing real people, and this film is stocked with them. These people find happiness, after a fashion, in romantic and unexpected ways. 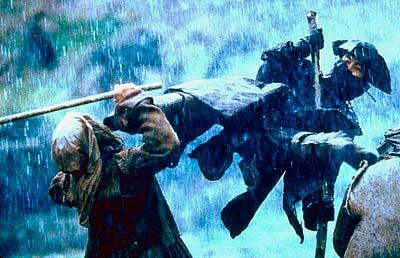 Wonder Boys will warm your heart, but it won't do it cheaply...it earns tears, and ultimately smiles. Until next time...and remember, don't let the box office tell you what's good!